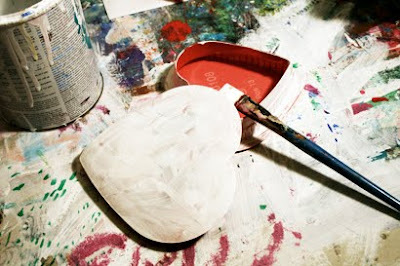 While I find most of the merchandise in stores this time of year pretty darn lame, it is the only time of year when you can get all kinds of heart shaped forms, doo-dads and boxes for super cheap- like those really tacky little boxes of chocolate! I bought a few for $1 each at my local drugstore that I turned it into a cute little box and pin cushion for all of my needles! and get rid of any wrapping and evidence of candy consumed! Paint over the entire box both inside and out. 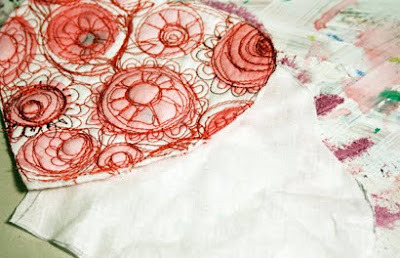 Place the fabric on top of a piece of batting (used for quilting) and doodle with your sewing machine. I used my pink dots as a starting point and added flower detail to spot of color. 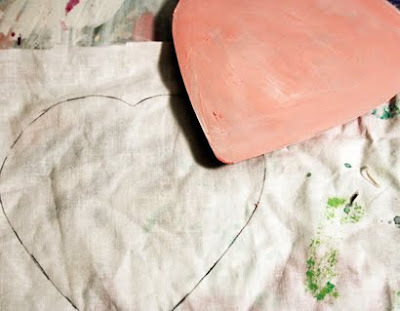 Once satisfied with the surface, cut out another heart for the back. 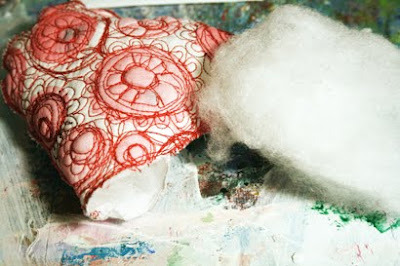 Sew the edges together and leave a small space open for stuffing. 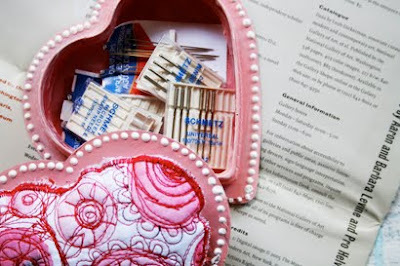 Once the heart is stuffed, glue down to the surface of the candy box. note-There are a number of different options to create this tufted look but I chose the quickest and easiest- glue! 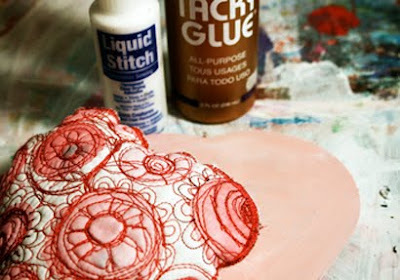 Fabric glue, tacky glue or even hot glue will all work. Last, I embellished the edges with a row of little white dots of fabric paint. and used the top for my pins! 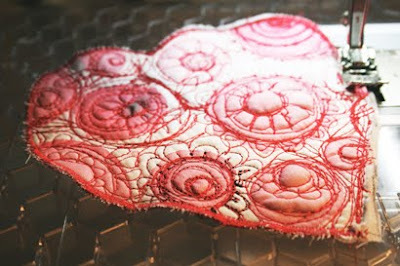 Wow -- your sewing machine doodles are amazing! 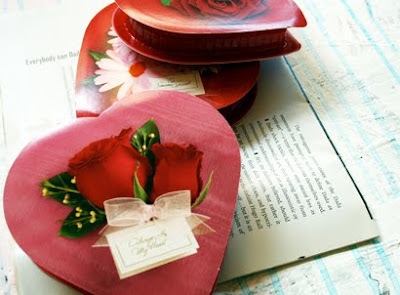 You turned a kitschy box into a work of art and a handmade keepsake. Love it! How stinkin' cute is that! oh I really like this idea. Way to redeem the gratuitous valentine kitsch. Love this idea... I'm definitely going to have to learn to sew! Wow! This is so cute. Thanks for sharing this tutorial. I would love to make one for myself. LOL! I can't say it any better then jane eileen!!! I just got my sewing machine fixed! Yay! 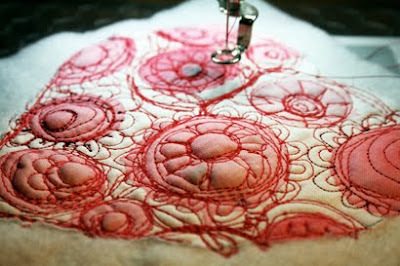 Still - I can't imagine doing sewing machine doodles!!! COOL! what a lovely and great idea! and for telling me what kind of paint you use! What a great idea... Love it! 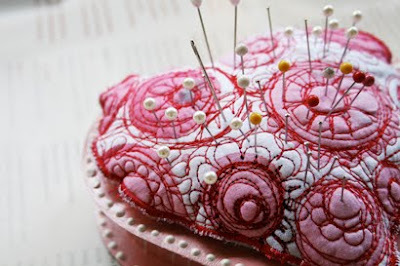 This kind of footloose sewing looks fun! LOVE this!!! adorable AND a excuse to eat candy! This is an amazing idea! Thank you! I have a heart shaped box I've been hanging onto, knowing there had to be something I could do with it and you've given me the answer! Love it! Oh my goodness! What a clever idea! You never fail to inspire us! Thanks so much for sharing! FANTASTIC. I love this, it is both simple and grand! Thank you again, Alisa, for a wonderful idea! Will make a great gift to... Me! That's it, you've made me want to buy a sewing machine. I'm so inspired right now. 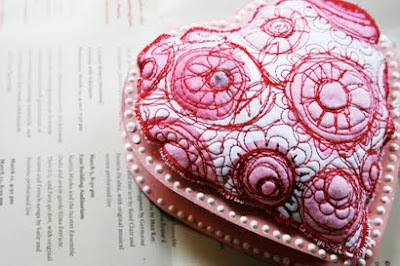 Looove your sewed doodles. thank you for sharing that lovely work!I like it very much and I surely will give it a try. I wish you the best! greetings from Austria! I like this too!!! I am currently browsing through your previous tutorials. Loving them so far because you are able to use stuff that I see laying around my house everyday that's just screaming, "Don't throw me away!" 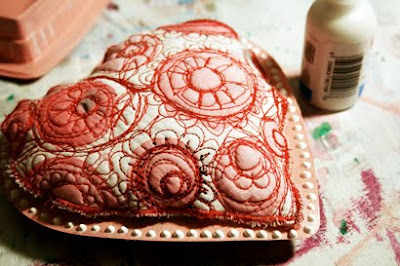 Oh and i like the idea of doodling with my sewing machine. I never tried that before. NOW I AM! Wow it's really cute and really nice. This awesome tutorial. I really appreciate with your creative idea. keep it up friend. wow!! you did great! I love the originality of your works! 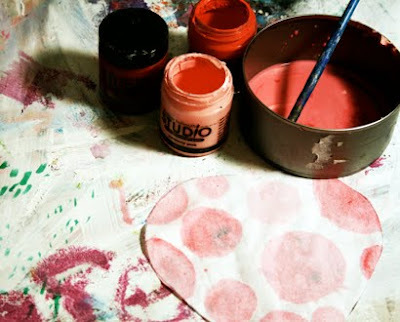 All these things that you do so colourfull are so beautiful! So beautiful. You've got a great sewing machine. i finally opened a flickr site. And let me say, i really enjoy your blog. your creativity is always an inspiration. and i also love your books!